Who is Lady Burra? Is she a woman of mystery, intrigue and deception or is she a majestic lady of leisure, remembered for her generosity, wealth and friendly nature? Lady Burra can be many things according to Nick Murphy, co-owner of the new Adelaide brewpub bearing the name. “Lady Burra is different for everyone, it is who you believe she is,” he says. The character was named after the historical country town in South Australia: Burra, a small town that was once in charge of supplying copper to Australia and the world. Nowadays Lady Burra has settled into a new resting place in the Adelaide CBD and has focused on one thing: craft beer. Thought while she may have settled, the venue that opened earlier this month is definitely alive and kicking, churning out four main core beers and with plans for some experimental and seasonal brews to follow. The first beers to be released were an American Pale Ale, an Irish Red Ale and a Dark ale. Once the brewery is in full swing, a pilsener will join the core range. An experiment Paleselner (combining a pilsener grain bill with ale yeast) has already been brewed and was received exceptionally well. Taylor Cox has been entrusted with the role of head brewer and has quite a resumé. A self confessed craft beer nut, Taylor hails from Melbourne. Previously he practiced his craft at Kooinda before packing his bags and moving across border lines. 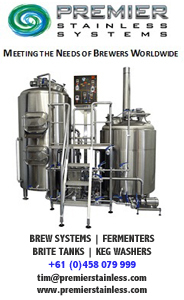 The first brews are safe, sessionable entry level craft beers developed to draw in local businessmen and women. Down the line, Taylor's skills will come into their own as he begins experimenting more with some of his own recipes and testing them on the in-house pilot system. With a mysterious curtain draped over the building site for many months, the project had many Adelaide people wondering: "Just when will this place open?" Just like most new craft breweries, Adelaide’s first CBD brewery has taken its fair share of time to start production. Council approvals, building delays and few other setbacks are to blame for the severe delay; however, this delay, for once, may have worked in their favour, as a rumours had time to start swirling as to just what this place was all about. And who was this mysterious lady? Now that the doors have been flung open, the beers brewed and the giant murals painted, Lady Burra Brewhouse is already a buzzing joint that's full to capacity most afternoons and evenings. So full, in fact, there are already plans to apply for a new license to increase the capacity from 100 to closer to 180 punters. 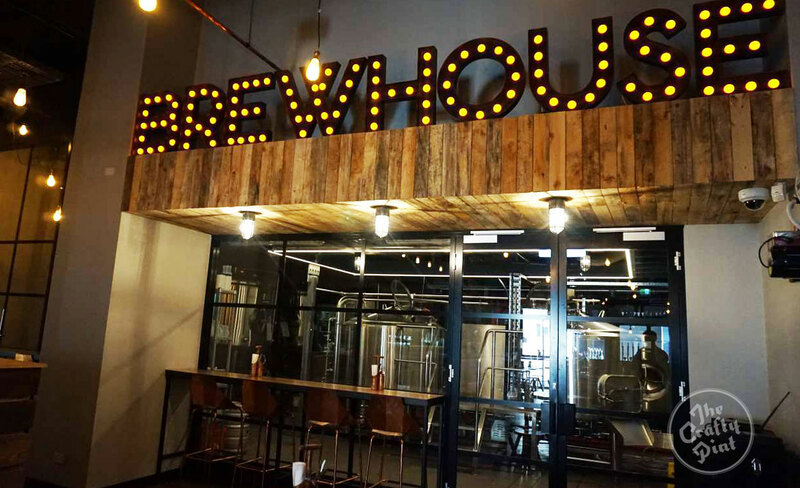 Walking into the brewpub, the drinker is straight away hit with the smells associated with brewing: a cloud of malt, yeast and hops wafts through the doors, hooking potential customers. 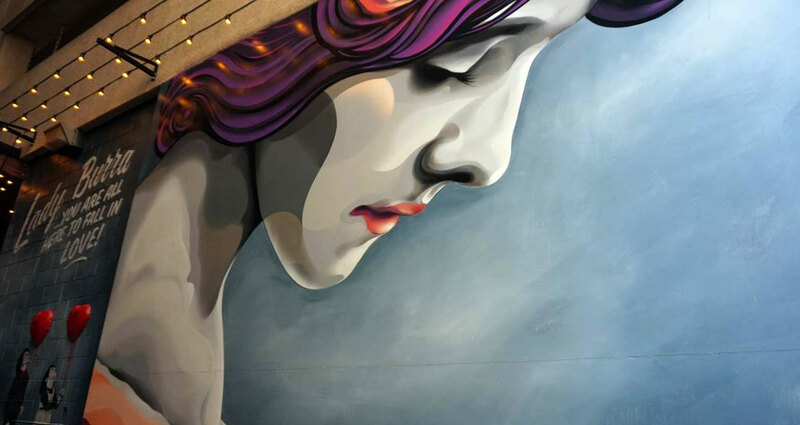 An impressive mural of a lady is the first sight once inside, before you are led past the 1,500 litre brewhouse, three shiny fermenters, two wood fired ovens and into the bar area. From here the smells soon switch from beer to Portuguese food, as venue manager Miguel Sa and his mother are introduced into the picture. Salty morsels of meat, pizza and other Portuguese bites are designed to match and be washed down with Lady Burra’s refreshing ales. 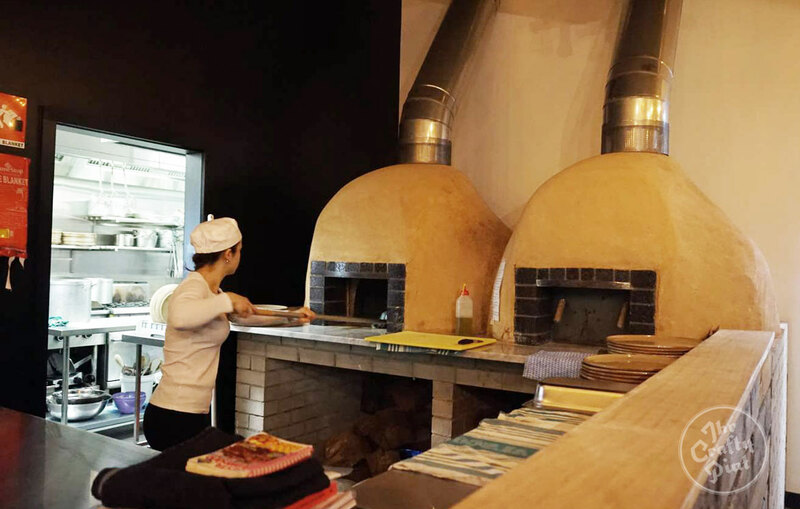 With the shroud of mystery lifted, Lady Burra has been revealed to the world as an intriguing combination of Portuguese bites, working brewery and craft beer – a first for Adelaide's CBD. It's a combination that has been welcomed eagerly by punters, suggesting that maybe it won't be the last. Lady Burra Brewhouse is off Currie Street in Topham Mall. 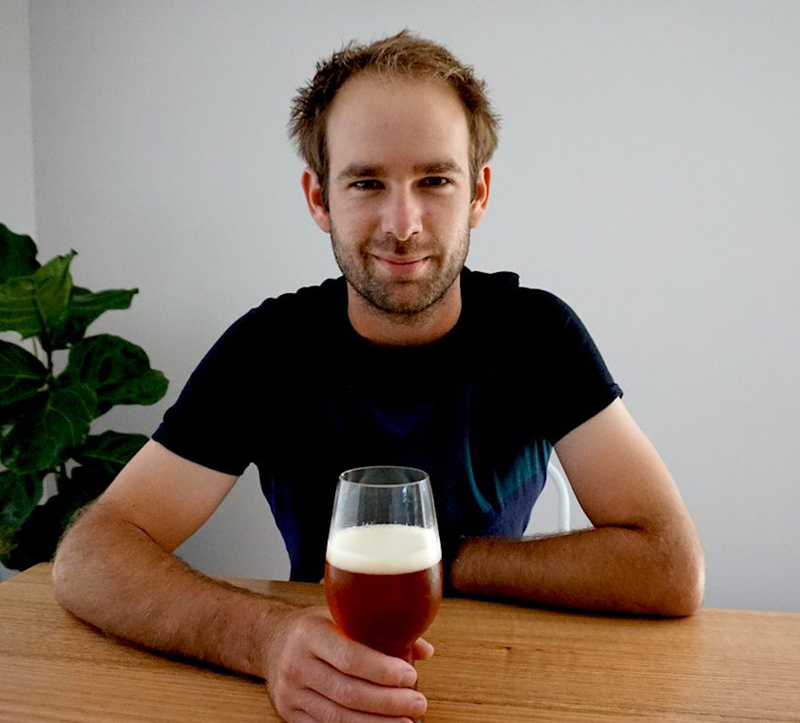 You can follow Matt King via his blog, The Craft Beer King or via the CraftyPintSA Twitter handle.